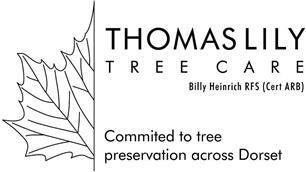 Thomas Lily Tree Care - Garden Services, Tree Surgeon based in Moigne Combe, Dorset. Bill Heinrich and Sam Preston are two skilled and experienced arborists dedicated to work of the highest quality since 2004. From the planting of a single sapling, to the management of mature specimen trees and large tree populations, we are committed to quality workmanship and a respect for the environment. Fully qualified and insured, all our work is performed to the highest standards of health and safety. As a small and dedicated team, we guarantee that our service is carried out by the same people from the initial quotation to the completion of the job. We take pride in our professionalism, craftsmanship, and attention to detail. We also take care to provide safe, practical, and environmentally conscious management solutions. We can provide expert advice on tree-health and long-term management plans, including structural pruning, dynamic bracing, and soil amelioration. Where a tree is at too great a risk of failure due to disease, decay or structural defects we are well equipped to fell, remove or dismantle. We also offer the option of stump-grinding and re-planting.